The new OnePlus Switch app is now also compatible with more Android devices. 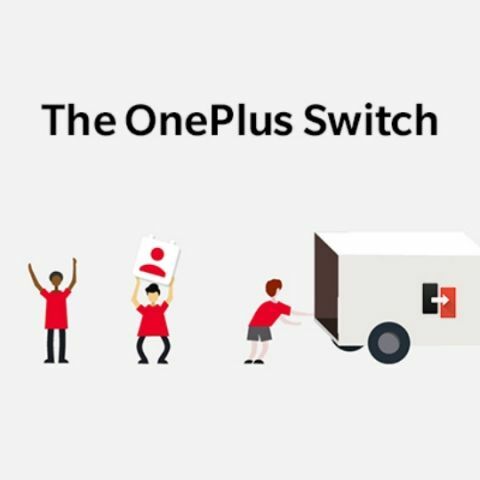 OnePlus has updated its data migration app, OnePlus Switch, to version 2.1 and it now gets support for migrating more data to a new OnePlus device. The app could previously transfer almost everything including apps, app data, settings and more. However, it didn’t support transferring anything pertaining to the old device’s launcher like the app layout and wallpapers. However, the new update enables the app to migrate app data and brings support to migrate launcher, wallpapers and how the applications are arranged. The update is less than 5MB in size and it also brings support for manually connecting to mobile hotspots and compatibility with more Android devices. The OnePlus Switch app has received some major updates since it was launched earlier this year. The first version came with the necessary functionalities of transferring messages, call logs, photos, contacts, videos, audio, and applications. When version 1.2 was rolled out, it added the functionality to simply initiate the data transfer by scanning a QR code from the old device. There is currently no support for transferring data from an iOS running Apple device, but it could be rolled out in a future update. The update for the app comes ahead of the OnePlus 6T launch, which is expected sometime in October-November. Ahead of the launch, the company has also started rolling out the latest Android 9 Pie update for the OnePlus 6 smartphone. The update is 1521 MB in size and it updates the device with a new Android Pie based UI, adds adaptive battery support, new Android Pie gesture navigation, updates the Android security patch to 2018.9, and more. The OnePlus 6 also gets some system improvements and a new Do Not Disturb (DND) mode with adjustable settings, new gaming mode 3.0, added text notification mode added notification for 3rd party calls, accent colour and Supported accent colour customization. You can read more about the new update here.